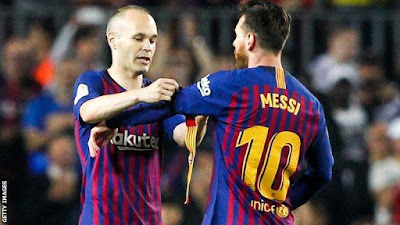 Lionel Messi has succeeded Andres Iniesta as captain of Barcelona, after the Spaniard ended his 22-year stay at the club to join Japanese side Vissel Kobe in May. Sergio Busquets will be the vice-captain, with Gerard Pique and Sergi Roberto the third and fourth captains respectively. All four captains are graduates of La Masia, Barcelona's famed youth academy. Messi, 31, joined the club in 2001 and is their record goalscorer.